If you’re wondering how Harley Quinn was able to accomplish that feat, it’s because she took one of the super pills that Lex Luthor developed for Superman’s army. 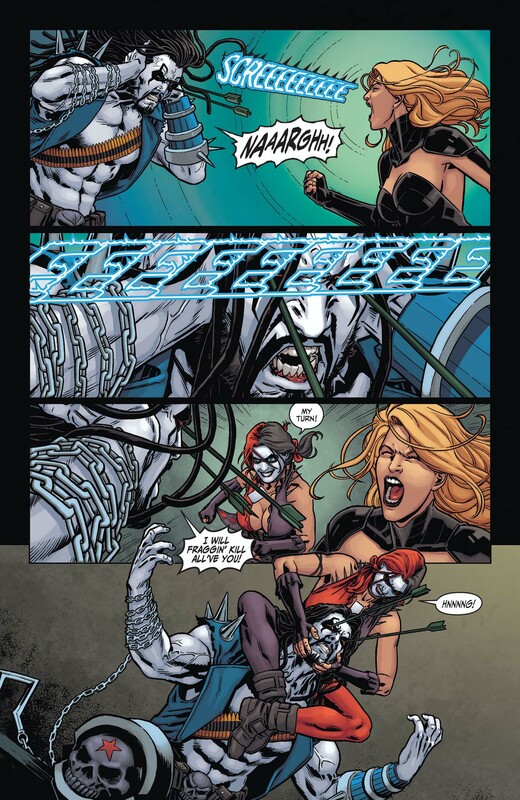 Ollie, Dinah, and Quinn take down Lobo. HELL YEAH!!!! I haven’t read DC in years. I so wanting to go back now. Is this Terry Moore’s art? PS Harley kinda’ makes sense, in a weird twisted sort of way. These are all the artists that worked on this issue. He did. By then they’d tied him up, and Harley had a psychotherapy session with him, which ended with her convincing him he had bigger fish to fry and so he left peacefully to go murder someone else. Is this a special on the injustice series or part of it? If so, can you tell me the issue number? I really wanna read it. It’s the annual issue of Injustice Year 1. Enjoy! 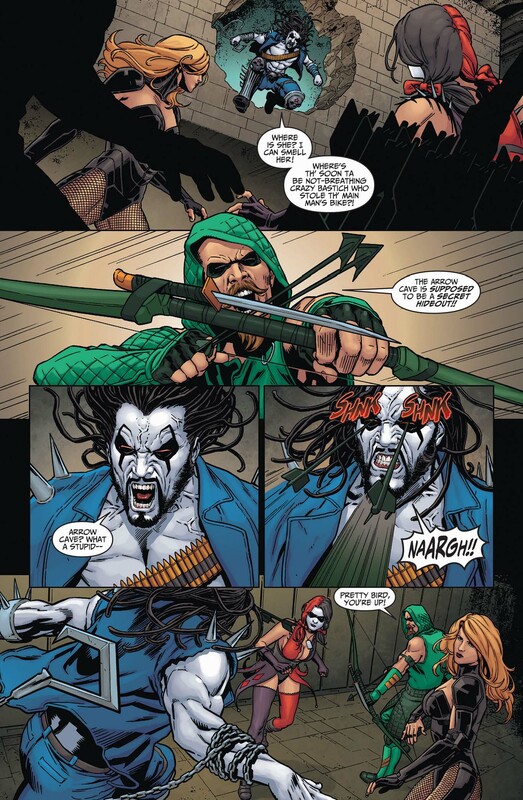 Pretty sure Lobo’s come back from worse. MUCH worse. Haha without a doubt it’s not the most lethal injury so far.